This study focuses on the opportunities and advantages provided by 6Storage. An open and fair voice of one of our clients, Mr. Ronald, a developer and consultant in Italy substantiates the statement above. In current times the top challenges that tenants and especially owners face includes fostering various requests and untimely Unit Change request, VAT calculation, Invoice processing, setting reminder for payments, available notifications and more, though they seem cumbersome at times yet the good news is all these and more are manageable. It is believed that the high cost of managing management software results in falling fortunes of owners across the Globe. Despite double digit growth in Europe and a reasonable portion of the western world, the storage management software system is yet to be discovered. People do at times tend to spend over 1000 of euros installing a new management software and ends up buying challenges and inefficient system unnecessarily, when actually 6storage and its pricing has allowed people like Ronald to grow in their business model. In his own words he states “I am fully satisfied and would endorse 6Storage management completely - I hope they prosper and look forward to much new innovation that they bring to the platform.” He also states 6Storage is surely the most powerful and inexpensive management software, one which is growing confidence every day. 6Storage will enable VAT calculation and Invoicing progressive + easy. 6Storage’s approach resulted in a 20% increase in easing/ironing issues such as tax calculation, VAT management, and invoice generation along with being cost effective, powerful enhanced storage management software, which bridges the varied needs of the digital-age consumer in the most effective way. Are you tired of calculating your taxes and seek a technology method which will claim to be supporting you 24 x7 irrespective of where you are, one which plays a significant role from the boring and time consuming manual system of managing data, maintaining accounts, setting reminders, generating payment reminders and alerts and manual notifications – well these has over the last few decades been very instrumental and has played a significant role in operating rental and payment systems across the globe especially Europe, UK and the US . Thanks to the rising technology penetration, management invasions and smart technologies, many customers have automated and synchronized their rental and payment processes, and established direct contacts with their clients/tenants, ensuring update information, timely reminders and easy access.6Storage supports eInvoicing(XML format) with respect to latest European taxation requirements. 6Storage is committed and prides itself to have the opportunity to be associated with some incredible companies and people across Europe, Western regions, Parts of Africa, Italy and more. 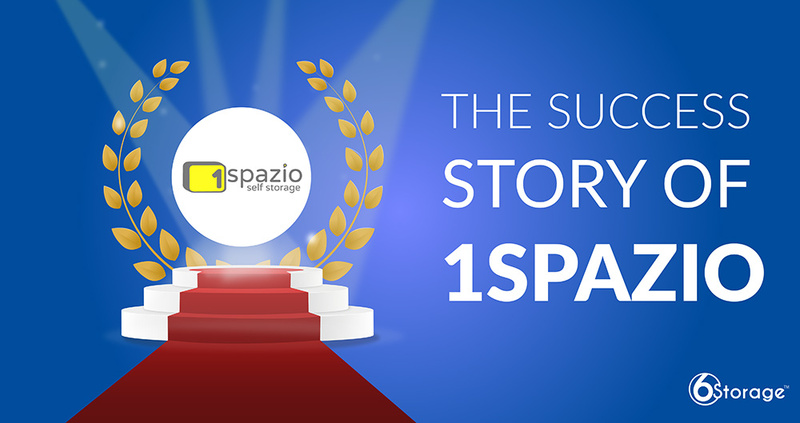 We are glad to share with you a direct client case study video docket, which is a testament as to how efficient 6Storage is? and we’re glad our client Ronald feels ‘6Storage is a compatible storage management software which will fuel up the taxation resolution and as well will take a long leap with it the pricing and will enable VAT calculation more easy than what we experience today” he feels 6Storage will bring solutions to all rental related invoices, payments, schedule management, reminders and more. In turn this software management will bridge the European and Italian system and it’s very true… only the best companies want more customer feedback because they are the ones who want to constantly up their game and we are glad to share this study today.